Avenue Supermarts Ltd (ASL) has raised INR561 crore (INR5.61 billion) by selling shares to anchor investors. In a stock market filing, the Radhakishan Damani-promoted company said it sold shares at the upper end of the IPO price band of INR295-299 per share. Prominent among anchor investors are Smallcap World Fund, New World Fund, Fidelity, Government of Singapore, JP Morgan, T Rowe Price, HDFC Mutual Fund, ICICI Prudential Mutual Fund and SBI Mutual Fund among others. ASL operates Food and Grocery retail stores under the D-Mart brand in 9 states across India. The IPO opens on 8 March and will remain open for subscription till 10 March. In total, the IPO will raise INR1,870 crore by issuing new shares. Without exception, DMart IPO recommendations are in the positive territory. Here is a snapshot of analyst recommendations from major brokerage houses. Sushil Finance has a placed positive rating on DMart IPO. “Revenue grew at 40% CAGR in last 5 years and profit margin of 3.7% which is considered good in FMCG companies. Considering offer price of Rs. 299 and EPS of 5.67 the P/E comes to 52.73. However, with the business growing at 20% and bottom-line growing at 30-40% we believe this issue is fairly priced factoring future growth. We recommend investors to invest in the issue,” said the brokerage house in its research report. Analysts at Prabhudas Lilladher noted Avenue Supermarts Ltd (ASL) is simply the most profitable value retailer in India. “The stock is being offered at 35x9mFY17 EPS which we believe is reasonable given strong growth outlook, solid business model and healthy return ratios. Recommend Subscribe,” opined the brokerage house’s report while adding that the company’s rental cost is only 0.2% of total sales against 8% for Future Retail. Angel Broking believes outlook for ASL is bright and valuations are reasonable. “At the upper end of the price band, the pre-issue P/E works out to be 32.5x its annualised 9MFY2017 earnings, which is lower compared to P/E multiple of its peers i.e. Trent – 73.9x, Shoppers Stop – 123.8x and Future Retail 36.5x. Better RoE profile, promoter’s strong background, strategically located stores, intense focus on maintaining lower costs and strong brand perception are the compelling factors indicating that ASL is a long term story that will unfold going ahead. Thus, we recommend a SUBSCRIBE on this issue,” said analysts at Angel Broking. KR Choksey is also among the brokers which are positive in DMart IPO recommendations. “We believe that although the company has been following different business model such as ownership (higher capex against lease model) vis-à-vis rental by other large players like Future retail and Trent, the key ratios such as average ROE & ROCE has been lingering higher at 15% & 10% between FY12-16 against industry average of 7% & 5% respectively. Further, the company has total debt of Rs.12.4bn at the end of 9MFY17, which is expected to reduce by Rs. 10.8bn over FY18-20. This in turn could result company to stand at almost debt free level, which could improve return ratios further going ahead. Apart from this, we believe that company has also witnessed a decent growth in terms of sales per store (CAGR: 18%) and sales per sq feet (CAGR: 16%) over the period of FY12-16. Any further progress in terms of store addition and increase in more penetration among existing market could result in strong revenue growth over medium to long term. Despite the management has indicated gross margins to be at 15%, while OPM & NPM to remain at 8-9% & 4-5% respectively, we expect that any further progress for augmenting the revenue share from General Merchandise & Apparel segment (28% of overall rev during 9MFY17) could aid further margins, which in turn could result in improvement in the financial performance further,” said KR Choksey’s research note. Taking note of the company’s professionally managed operations and discounted valuations, Ajcon Global has placed a subscribe rating on Avenue Supermarts IPO. “At the upper end of the price band of Rs. 299, the IPO is valued at 36x at 9MFY17 annualized EPS and 59x at FY16 post issue EPS which is at a discount to its peers and we believe it is fairly priced considering its profitable growth prospects and better return ratios as compared to its peers. With due consideration to factors like a) focus on value retailing to well defined customer base, b) ownership model for retail stores, c) steady foot expansion via cluster based expansion approach, d) optimal product assortment and strong supplier network, e) efficient store operations and stringent inventory management, f) higher operating efficiency and lean cost structures; g) strong track record of growth and profitability; h) positive operating cashflow in last 5 years, i) no closure of store till date; j) professionally managed organization with entrepreneurial mindset and approach, we recommend investors to “SUBSCRIBE” the issue,” noted analysts at Ajcon Global. DMart IPO recommendations are all positive and Choice Broking also makes to the list. “The company is the one of the fastest growing retailers in the country. Over FY12-16, total operating revenue increased by 40.4%, while EBITDA increased by 48.1%. EBITDA margin increased consistently from 6.2% in FY12 to 7.7% in FY16. PAT increased by 51.6% with expansion in margin from 2.7% in FY12 to 3.7% in FY16. Despite owning the retail properties, it has consistently improved the RoE from 8.9% in FY12 to 21% in FY16. Considering its efficient operating performance, the target market segment, attractive valuation and future growth prospects, we recommend a “SUBSCRIBE” rating for the public issue,” said its research report on the IPO. As some analysts have rightly pointed out, ASL has a much better cost structure than Future Retail – the only other comparable listed retailer. We have also highlighted this (and several other points) in this DMart IPO analysis while maintaining that quality performance on key operating metrics does not come cheap. In terms of comparison, DMart IPO is leaving something on the table for retail investors and this view is corroborated with strong grey market premium (GMP) in the informal market. 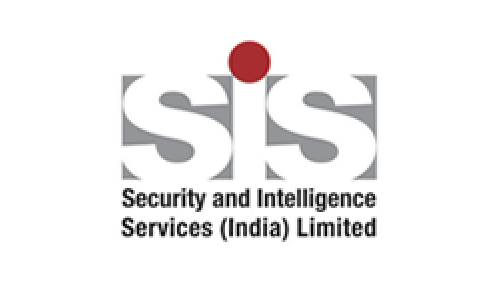 SIS India IPO Review: Secure Enough?